Once again, thank you to all who participated in the Silver and Gold Challenge. All of the submissions were absolutely stunning. It's always exciting to see how our followers interpret the challenge. These three certainly caught my eye! 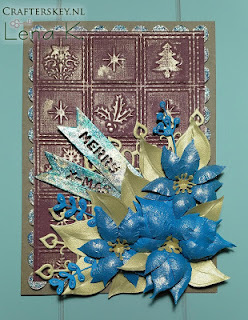 I loved the gold embossed background with all the Christmas symbols. It reminded me of a door at a majestic European cathedral. The blue poinsettias with the gold leaves were the perfect touch. This project absolutely took my breath away. 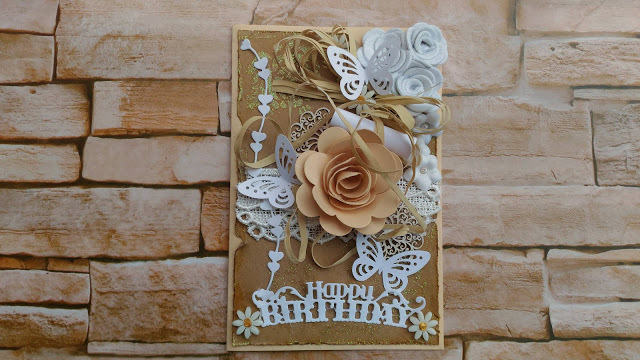 Whoever is the lucky recipient of this birthday card can easily put this on the wall as a one of a kind piece of art. 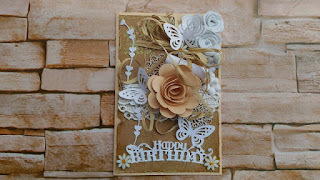 I loved the subtle gold glitter throughout the background and the delicate silver butterfly cut-outs. And finally, this project exemplified to me everything that I love about Christmas. 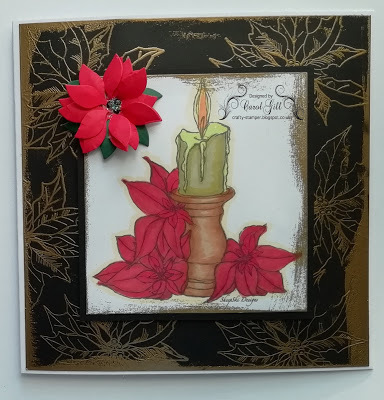 The gorgeous gold poinsettias embossed on the black paper along with the vintage candle reminded me of Christmases of long ago. Simply stunning. Once again, thank you again for taking time during your busy holiday season to play along with us at Use Your Stuff. Make sure to continue to check out our blog and play along with our challenges. Thank you so much for highlighting my card! Thank you soooooo much!!! I'm very honored!!! !